6ya is currently a US service. Sign up to be notified when we expand. 6ya allows professional experts to earn money by providing quick help to customers over the phone. Why should I join 6ya? Average call is only 4-5 minutes long. Work from anywhere, anytime; whether that’s all day or between jobs. Use your professional knowledge to help people with their product problems. Do I need a Smartphone or can I accept calls from a landline? In order to become a 6ya Expert and accept calls you must have a supported iOS or Android smartphone. Can I decide when to accept calls or not? Absolutely. Once you complete your Expert account creation and download our App, you’ll have the ability to set your availability and Do Not Disturb option both manually or recurring. How long do these calls last? On average, most calls do not exceed 5 minutes. However, the customer is not restricted nor expected to cut the call short. What is the difference between Direct and Service Calls? 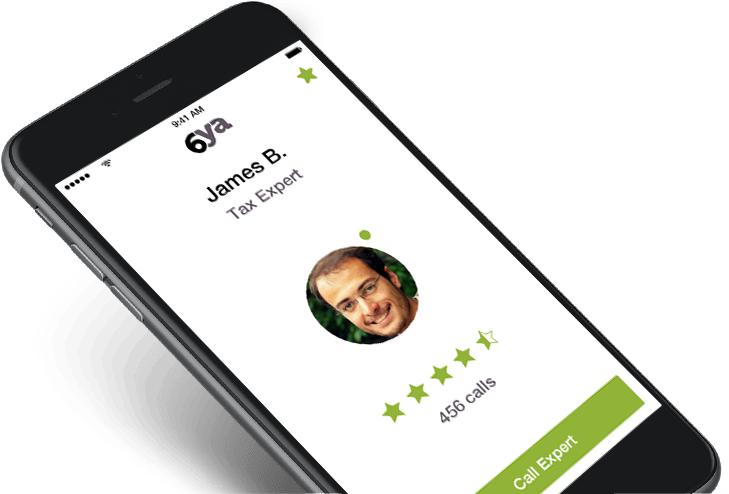 Verified Experts will be routed calls from 6ya customers who request to a call through the 6ya App, but any Expert can share his/her profile to their circle of customers or friends and can generate direct calls. Since you set your own rate for Direct Calls, your earnings will be directly determined by the number of calls you take. At any given time your 6ya app will show your current earnings when logged in on Expert mode. Calls that are routed to you by 6ya will generate a predetermined per-call rate. Note that both Direct and Routed calls under 1 minute are free to the customer and do not generate any fee. As part of your profile and account creation, you will be asked to set up your method of payout. Currently Experts can receive their earning via PayPal, bank transfer or mailed check. What is the cost of using the service? The only fee you will be charged for using 6ya to provide Expert on Demand services is 10% of your earnings through the platform regardless of the number of calls you accept through the system. There are no other flat or recurring fees you will be charged. * $100 bonus will be paid to Experts who accepts at least 20 calls within 7 days from their activation. ** Excluding calls under 1 minute.